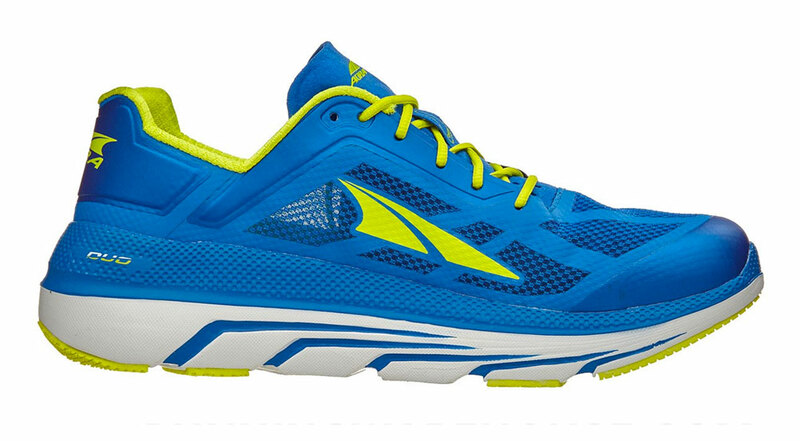 Though I may upset some Hoka fans for even making the comparison, I have to say it: the Altra Duo ($130) looks like the original Clifton. A blue upper. A paper-thin tongue. Lime green laces. Deep flex grooves. And plenty of cushioning with little weight. Jokes aside, the Duo is indeed reminiscent of the Clifton in the “maximum cushioning, minimal weight” category. The first Clifton was wildly successful, and I suspect that the Duo, a new model from Altra, will follow a similar trajectory based on the aforementioned characteristics. 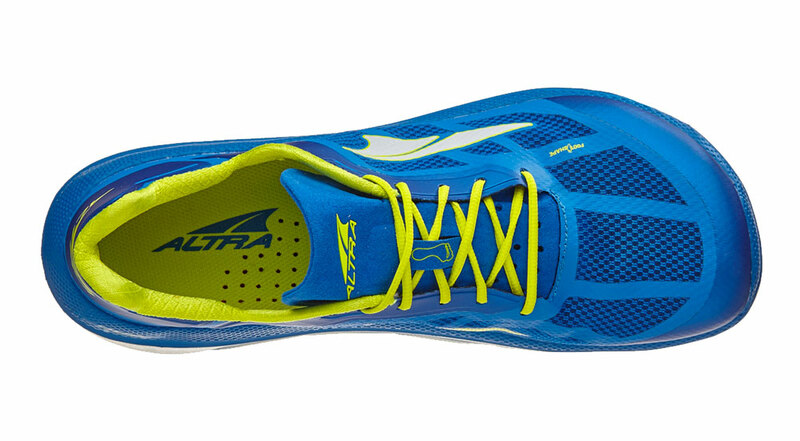 Since the Altra brand is defined by the FootShape toe box, it seems fitting to start there. The forefoot space in the Duo is generous – very generous. 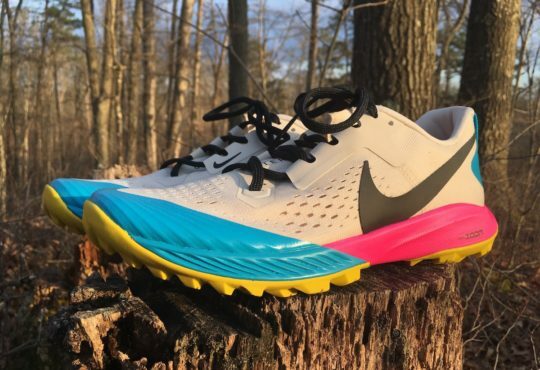 Speaking of which, the 31-millimeter stack height, set against a highly breathable upper, is going to make the Duo a strong contender for long runs or races that are coupled with high heat and humidity in the coming months. 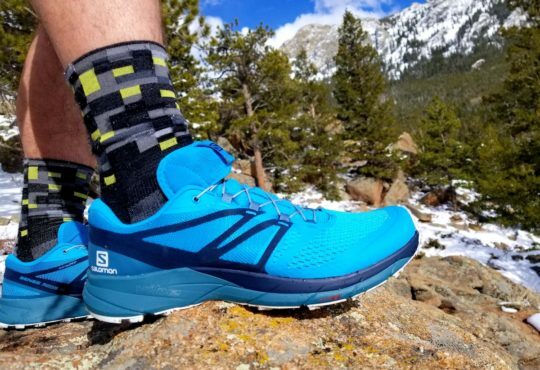 What truly separates the Altra Duo from the Altra Paradigm, another maximum cushioned road shoe, is weight: 8.4 ounces (Duo) to 10.3 (Paradigm) in a men’s nine. The thin, single layer mesh upper in the Duo contributes to the weight reduction, along with significant grooves throughout the midsole and outsole. A stronger rubber is used sparingly around the heel and forefoot to further minimize weight. The grooved outsole pattern makes for reasonable flexibility in spite of the higher stack height. 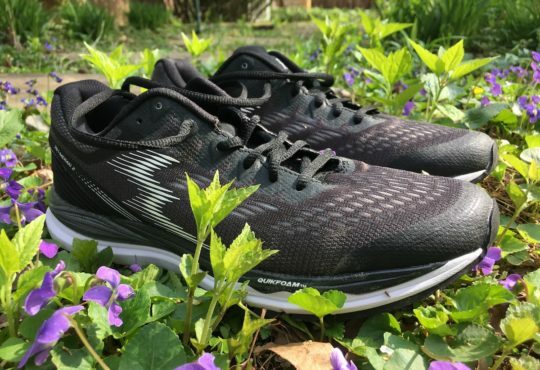 A handful of TPU overlays keep the feet secure inside the shoe, and I feel entirely confident in saying that the Duo offers the most spacious toe box room in an Altra model to date. 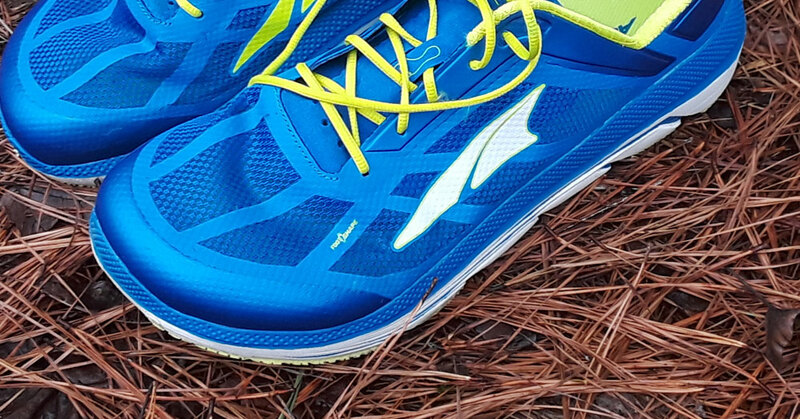 The Altra Duo ride feels less like a typical zero-drop Altra and more like a shoe with a 4-5 millimeter drop. It’s an ideal blend of softness and firmness, the forefoot exhibiting a little more of the former quality and the heel the latter. At first glance, the Duo appears bulky based on the hefty midsole, but it delivers a smooth ride at various paces. 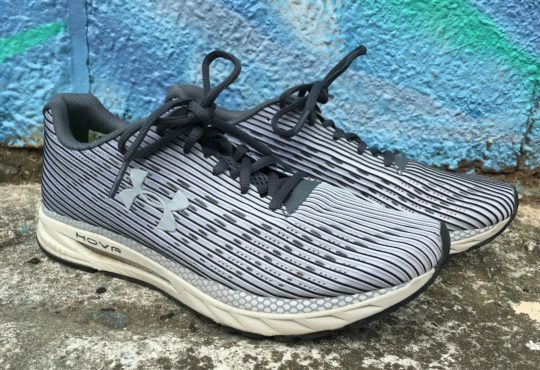 That said, I’m inclined to reach for this shoe for longer runs versus workouts, but it will do well for speedwork or marathon prep when the miles keep accumulating. First, I wouldn’t anticipate this hindering performance, but I did notice that small rocks tend to lodge in between the flex grooves of the outsole. If your Duo’s are grinding the pavement, inspect them afterward for any souvenirs that were collected along the course. Second, based on the generous toe box and ample width, I’d recommend to runners with narrow feet like mine to opt for thicker socks (e.g., Balega Hidden Contour) to help fill the shoe out and minimize sliding. 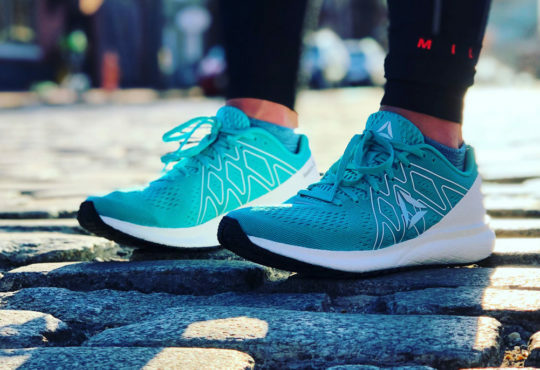 The Duo delivers a handful of exceptional characteristics at a modest $130 price point: substantial cushioning, low weight, a light mesh upper, and a surprisingly flexible midsole. 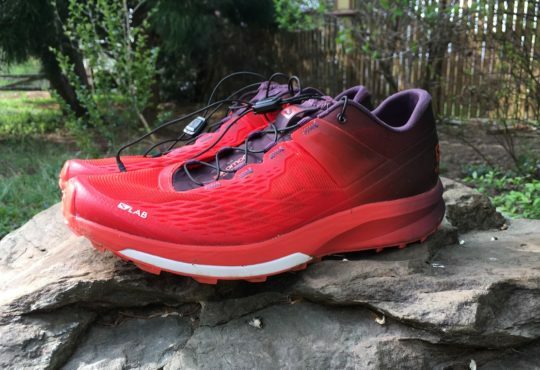 Fans of the Altra Paradigm in search of a lighter maximum cushioned shoe will find it in the Duo; fans of the Altra Torin in search of a more breathable upper will see it in the Duo, and fans of the Escalante in search of a touch more protection will find it in the Duo. In short, Altra is covering all their bases. 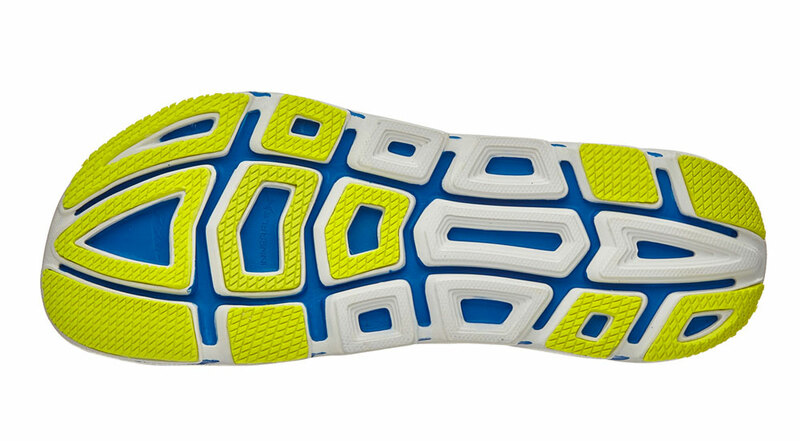 In fact, the company is hitting the price conscious runner base with the new Solstice ($90). Runners will be racing to get this shoe for sure. Check out the Altra Duo at Running Warehouse.